NEVER FLOODED! This wonderful 4 bed 2.5 bath home has beautiful double entry doors & is on a quiet cul-de-sac street! To the right as you enter is an elegant dining room adjacent to the kitchen, making it perfect for entertaining! Opposite the dining room is a large bedroom that could also be used as an executive study! Passing through the entryway you come to a huge family room with a cozy tiled fireplace that is perfectly suited to relaxing after long days & has plenty of room to accommodate a crowd on special occasions! The gorgeous kitchen is equipped with ample counter space, tile floors, an island cooktop, a walk-in pantry & lovely cabinets for extra storage! In the evenings, withdraw to the spacious master suite complete with a luxurious bathroom showcasing his/hers vanities, a huge walk-in closet, tile floors, a whirlpool soaking tub & a tiled walk-in shower! 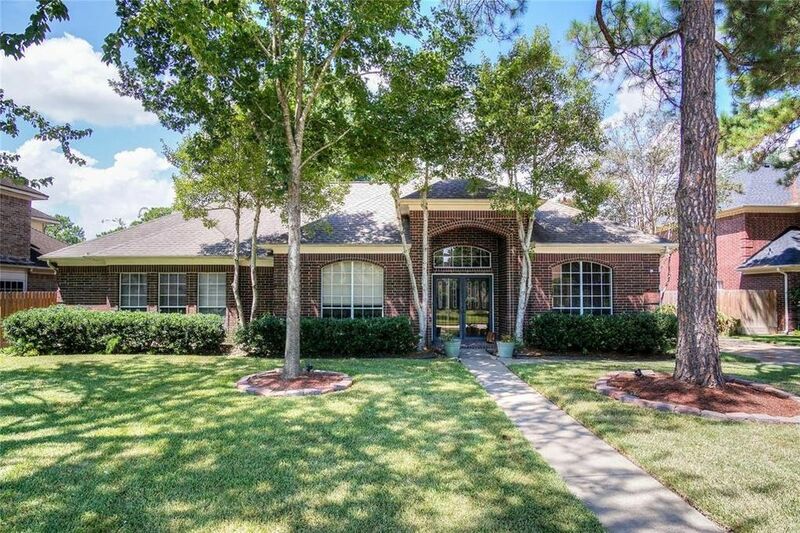 The home also has a sprinkler system & backyard with an open patio! Great location with amazing neighborhood amenities! Directions: Going west on I10, turn right on Greenhouse Rd, right on Morton Rd, right on Eagle Ridge Way, left on Cherry Tree Grove Dr, left on Redwood Shadows, home is on the left.